Dare I say it? The calendar shows we have officially entered the Spring season and it is starting to show here in the Westminster area and surrounding Maryland and Pennsylvania towns! What a welcome change! Finally, right? Along with warmer weather, we will undoubtedly get a lot of rain and possibly some strong Spring thunderstorms occasionally, too! Before we know it, Summer will be here next. Now is a great time to focus a little attention and effort on your home in order to keep things running smoothly and to help maintain a safe and comfortable home for you and your loved ones. Here are some Spring home maintenance ideas and tips for you. First and foremost, SAFETY should always be your number one goal with any home maintenance. Some homes have roofs that are accessible, some do not. 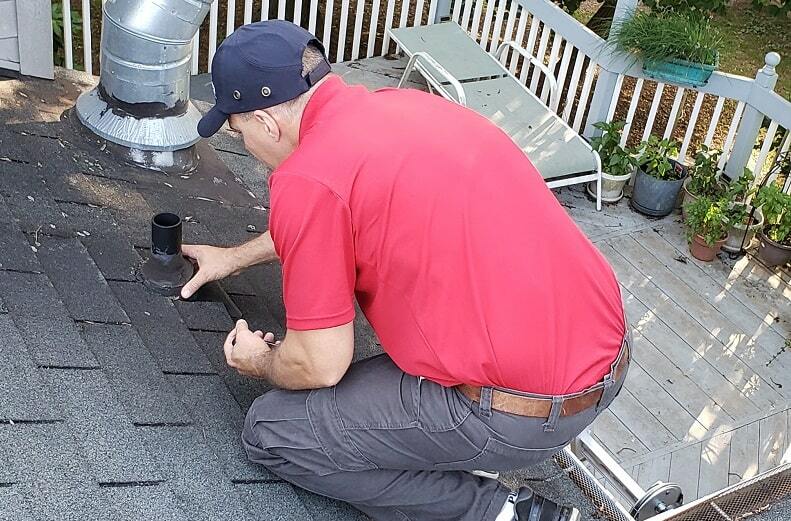 If you are not comfortable getting onto a roof safely, you should hire a professional and/or use other methods to survey your roofing systems and chimneys. Nothing is better than seeing things up close and personal when its safe to do so, but you can always use line of sight and binoculars from the ground or from windows or even neighboring houses to take a look around your home. With that said, your roofing systems and chimneys take quite a beating over time, particularly in winter and early Spring with freeze/thaw actions and high winds. Take a look at your roofing system in its entirety along every plane to check for any damaged areas that may have surfaced since you last looked at it (or had someone do so). Check the roof coverings and look for missing, damaged, or broken shingles or panels or tiles or even damaged flashings around plumbing vent stacks and other roof penetrations. If you see greenish-colored areas on the roofing surfaces you may have moss and/or algae growth that should be cleaned off to keep the roof surface from retaining excess moisture and so it can properly dry out. Check your gutters and downspouts for any damaged areas and if they have debris in them that may clog and cause them to overflow. A properly functioning roof drainage system is necessary to keep moisture from backing up and entering into the building envelope. Take a good look at the chimneys if you have them as well. If it is safe and if you can see them, check the chimney caps and crowns as well as the chimney exteriors for damage, deterioration, corrosion, etc. as this can lead to unwanted moisture in the chimney structure which can cause big problems over time and even complete failures of the chimney structure. Spring is a great time to hire a chimney sweep to clean the chimney for you as well so that you do not forget to do it before Fall! If something does not look right to you with the roof system or chimneys, get an expert opinion. Catching problems early can often save you hundreds if not thousands of dollars in repairs later. Check all the exterior walls and windows with a good slow walk around the perimeter of the home. Look for any loose or damaged coverings or trim, peeling paint, rusting lintels over windows, broken panes of glass, etc. If you notice green colored areas on the coverings, it may be algae and/or moss growth. This usually can be cleaned off using readily available products from local hardware stores or even using homemade mixes that are environmentally safe. Be sure to follow the instructions on the product labeling including protecting any plants and/or flower beds and the proper mixture concentration ratios. Be very careful using any sort of power washing equipment as you may cause more harm than good by doing so. Power washers tend to spray water up into drainage holes in siding materials and back behind the siding where we do not want heavy moisture. These drainage holes allow water vapor that condenses into liquid form to drain out from behind the wall coverings and were not designed to handle large amounts of water or to let water in, only out. Use a small screwdriver or awl or pick to probe areas of wood around trim and windows checking for soft spots that may indicate deterioration of the materials that may need repaired or replaced. Look for any vines that may have grown along the walls and remove them to keep excess moisture away from building materials and to remove avenues for insects to travel. Trim back bushes and shrubbery at least 9-12 inches from the walls to keep the extra moisture away from the building materials and to allow good airflow and to promote good drying of the building materials. Additionally, make sure items are not stored against the walls like firewood, extra building materials, personal storage, etc. as these can keep walls from drying properly and can promote unwanted pests such as insects, vermin, snakes, and other pests. As with roofs, SAFETY should always be your main goal with doing any maintenance on the exterior. If you need to use a ladder, be confident in your skills and always maintain 3 points of contact with the ladder at all times. If you are not comfortable, hire a professional – it is not worth saving a few dollars to injure yourself or someone else! Check the various driveways, walkways, patios, and porches at the exterior of the home and look for cracks, deterioration of surfaces, depressions, or raised areas. Small cracks if caught early can usually be filled in and repaired to prevent them from getting too much worse. Remove any vegetation that is starting to grow in the cracks, too – even small plants and weeds have powerful root systems that can make small cracks turn into big ones eventually. Sealants can be applied over asphalt and concrete surfaces as well to give them a shielding against the weather elements including precipitation and UV rays from the sun. Check for any trip hazards that may have surfaced and have them repaired as well for safety. Pay particular attention to railing systems and check those for loose areas and areas of damage, corrosion, etc. Look for any settled areas that may have negative grading back toward the home and/or foundation – we always want water to drain away from the home and not stay next to it or, worse yet, to drain back toward it. Even if you think a repair might involve complete removal and replacement of problem areas, you may actually be able to have them repaired and re-leveled by professionals that use technology such as mudjacking. If you winterized your exterior hose bibs/faucets, once you feel the threat of freezing temperatures has passed, put them back into service by reversing the steps you took in the Fall or Winter. If they have been shut-off at an interior valve, SLOWLY open the valves one by one to allow water to begin to fill the piping system again. Listen for any abnormal sounds and look for any signs of leaks as you open the valves and immediately close them back off if you see signs of problems. Once you have the valves opened successfully and fully, test the exterior valves at the fixtures to make sure they are properly working. Check the valve handles and faucet stems and necks for any problems or leaks and have them repaired if need be. It is also a good time to check your garden hoses for cracks from dry-rot or freezing and any damage to hose ends. 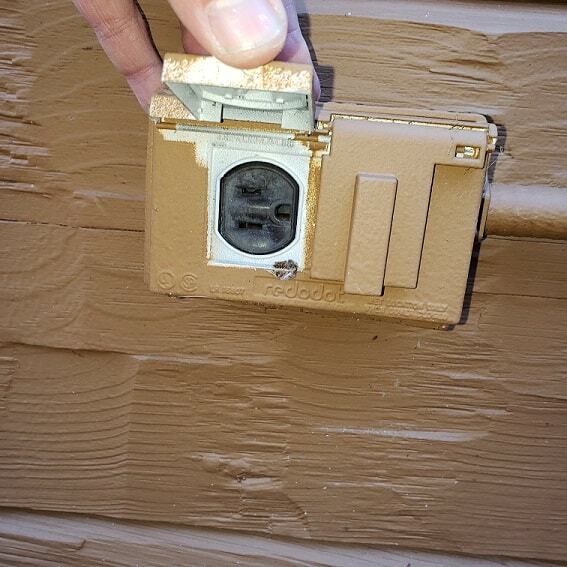 Check your electrical receptacles, lights, switches, junction boxes, conduits, etc. If you see signs of damage or any exposed wiring, DO NOT attempt to repair it without using proper tools to check for live electricity first and having the power turned off to the damaged areas. Check GFCI outlets for any tripped conditions and attempt to reset them. If they do not reset using the reset button, have an electrician do further troubleshooting and repairs. Check exterior receptacle and light boxes for good seals and gaskets to maintain their weatherization and protection of the electrical components inside them. Test your exterior lights and replace any bulbs that may have burned out. Check the outdoor unit(s) for your HVAC system(s) and look for any signs of problems. Look at the plumbing and electrical lines and note any deterioration of sheathing, insulation, etc. that may need repairs. 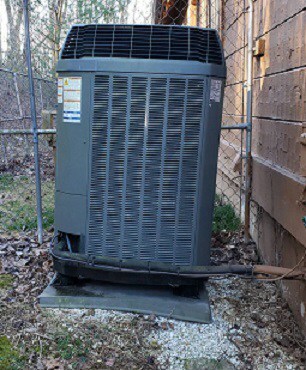 If the outdoor unit looks out of level, be sure to have it re-leveled in order to keep damage from occurring in the compressor or other components. Check the louvers around the condenser unit(s) to make sure they are open for airflow and trim back any vegetation that may have grown toward the unit(s). Make sure to maintain a good 3 feet of clearance around the unit(s) where possible to promote good airflow and to help the system run efficiently. Have a qualified HVAC technician clean and service the coils and to check the system in advance of the upcoming cooling season – it will be here before you know it! Check the air-filter on the indoor unit of the furnace(s) and or air conditioner(s) as well and replace any dirty filters to promote maximum efficiency for heating and cooling and to keep indoor dust to a minimum in the home. Doing so will also help to maximize the service life of the unit because a clean filter allows the unit to operate at the intended pressures and efficiencies and not have to overwork the machinery components. Check for any signs of water leaks around the units and/or corrosion on the cabinetry and have a qualified technician perform repairs. Note any abnormal or loud noises while the unit is in operation and have them investigated by the technician as well. 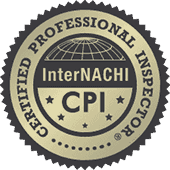 As home inspectors, we regularly impress upon our clients that regular home maintenance is necessary for the health and safety of the home’s occupants and to maximize the life of the home and to protect your investment. Although we check for all of these things in this article when performing a Maryland Home Inspection and can bring them to your attention, as a homeowner you can do a lot to keep your home running in tip-top shape by doing these small maintenance checks periodically. Once again, SAFETY should always be foremost in any maintenance tasks. Do not perform any maintenance checks or tasks with which you are uncomfortable or not confident in doing – be smart and hire a professional. Call Absolute Assurance at 443-939-HOME (4663) for all of your Home Inspection needs including full and partial home inspections for buyers/sellers/investors, rental inspections, annual home inspections, mold inspection and testing, radon testing, and water testing! Previous PostDaylight Savings March 10, 2019 – check your smoke alarms!